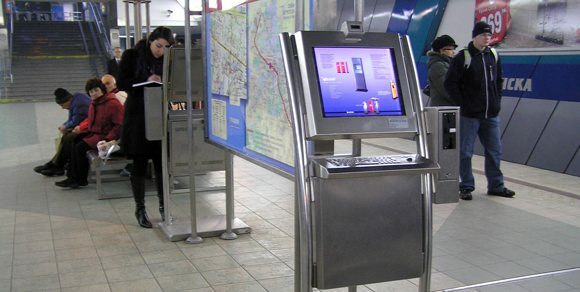 Kiosks are made for public use, which means it should also be durable, reliable, and user-friendly. But, how can you custom build these type of computer panels having those qualities? With the S17 industrial computer panels, these panel devices come with stainless steel enclosures – guaranteed why these are best fit for public kiosks. For a severe public consumption like kiosks, taking advantage of 17” rugged industrial PCs can definitely provide long-term availability and overall performance. The fact that it is powered by Intel™, you can always ensure that the public will definitely love to try it instead of going to the coffee shops or any business centres just to get connected through a WIFI access. Aside from providing usable data to the public, kiosks are also ideal for queuing users’ requests, booking a ticket for flights or providing self-service flexibility on banking kiosks. With its Intel-based computing system, it has the capability to collect, analyse, transmit and store data. Here we introduce 2 out of 3 distinct product lines that will help you decide on why you should choose our recommended industrial PCs over other PC enclosures. Whether it is for retail, self-checkouts, advertising, or for government services operations, our rugged industrial computer systems can perform its functions with interactive connectivity between the user and the interface itself. Efficiency and Speed. An Intel-based industrial PC can work quickly and efficiently as it is compatible for tough applications. Quite a huge investment. Functionality. It comes with a projected capacitive touchscreen technology which quickly respond to the user’s touch. Durability. It is NEMA-sealed with IP68+ rating thus, it can withstand shock, vibration, liquid spill overs, heat, water immersion, and any fallen debris. In fact, it is suitable for high-level of hygienic condition. Indoor/Outdoor suitability. Since most of the public kiosks are placed outdoors, it suits any type of environment over a wide range of temperature. Usability. Our recommended industrial PCs have a standard warranty of 3 years but it has the option to extend up to 5 years or even more. Energy efficient. It contains low power consuming components. Whilst our industrial PCs have 2.0 GHz motherboard processors, other interactive PC enclosures may have up to 1.6 GHz only which is limited to process a lot of data on its computing system. Aside from this, here are some common advantages and disadvantages you might want to consider on other manufacturers. It has a standard warranty of 1 year. Stainless steel housing/frame Since it is powered by resistive touchscreen panels, it does not always quick to respond when compared to PCAPs. Low power consumption It has limitations it terms of working environment. To wrap it up, both of these industrial grade computers have capabilities and functionalities that any user needs. But, the fact still remains that our recommended product lines can be better than other enclosed PCs just by looking at its pros and cons. Again, it may be a huge investment on your part, but you can always guarantee promising results in the long run. So, build your 17” industrial computer now and consult our IC experts for your other installation needs.